Some key features of our newest product. 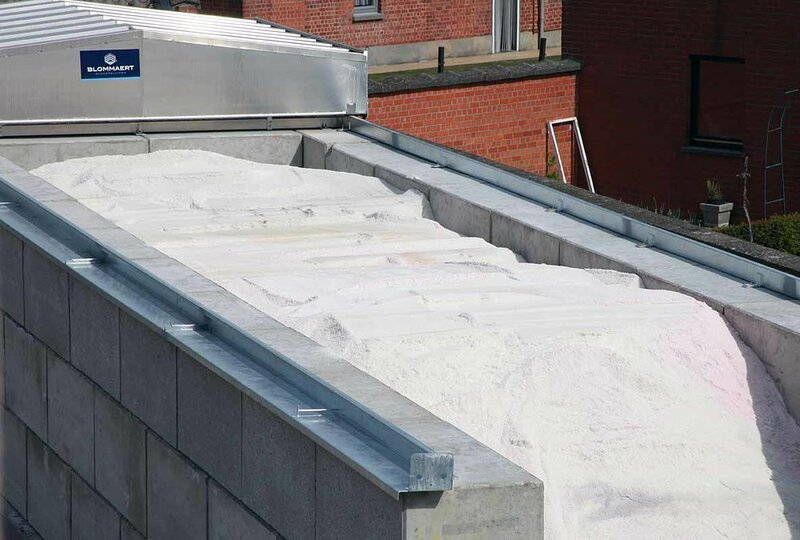 A sliding roof is the ideal solution for covering smaller quantities of salt where quick access in cramped locations is required. 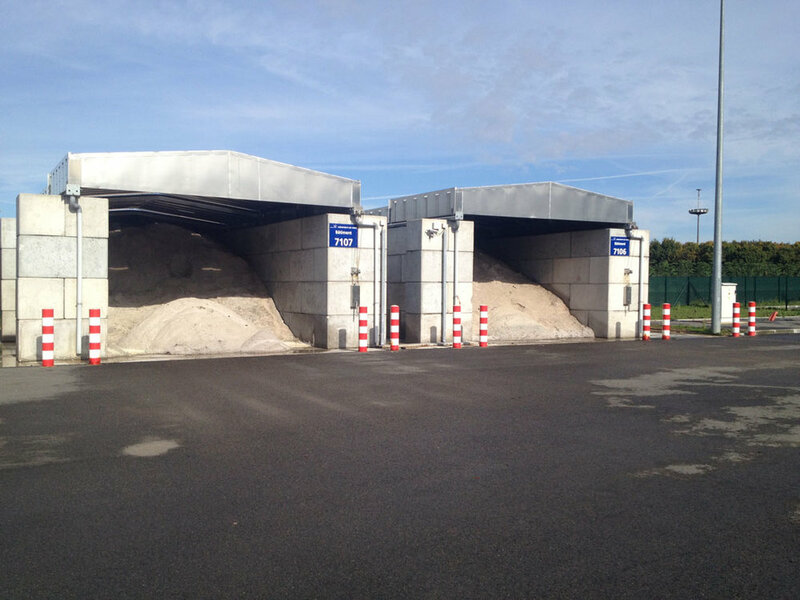 Where salt stocks have to be replenished on a regular basis in the winter, the salt storage sheds must be as accessible trucks that come to load and unload. With the sliding roof, a lot of time can be saved, when loading and unloading, whilst keeping the salt in the best dry conditions. Also, by sliding the roof away the chances of damaging the roof with heavy plant, are significantly reduced. Another useful application of this high-quality sliding roof is to store “white salt” used to make prewetting brine. 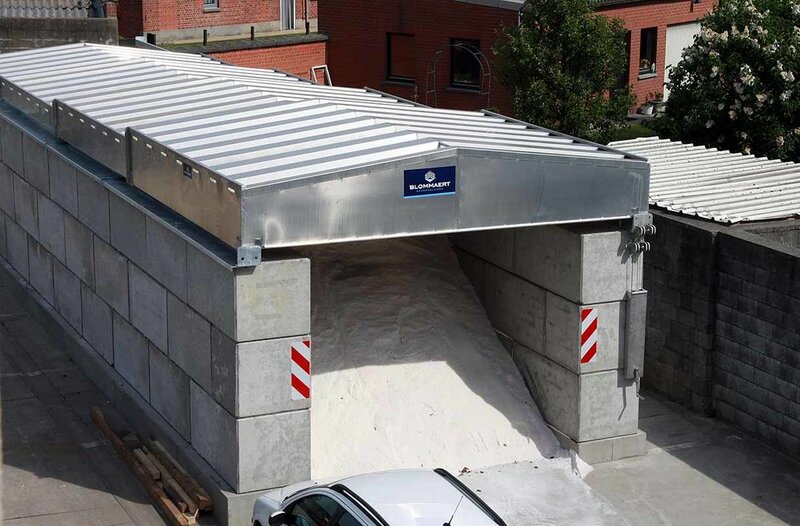 In a lot of instances that salt is now stored in the bigger Eurodome® salt barn, taking up a lot of space to keep it separate from the salt used for the spreading. A small “white salt” store will free up that space and increase the resilience. The sliding roofs are made from a very high quality aluminium alloy, called AlMg3. This alloy is ideal to withstand salt and is also used for making ship's hatches, which of course must be able to withstand salt seawater. 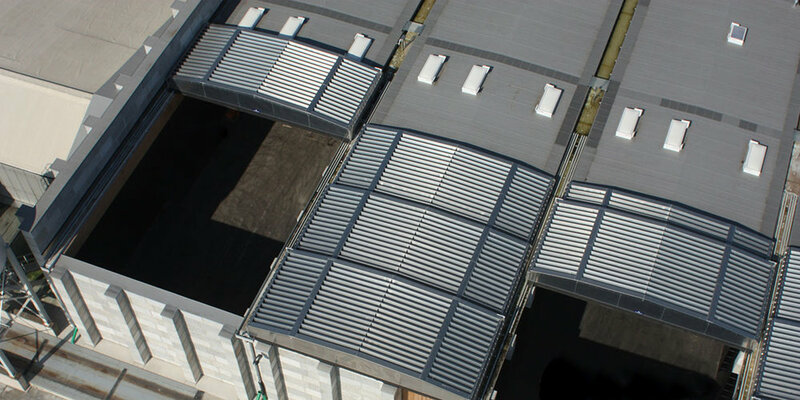 Approximately 150 projects using this sliding roof have already been carried on Mainland Europe: both for councils, motorway depot and at airports. Eurodome Ltd is proud that they can now provide this solution to the UK market. 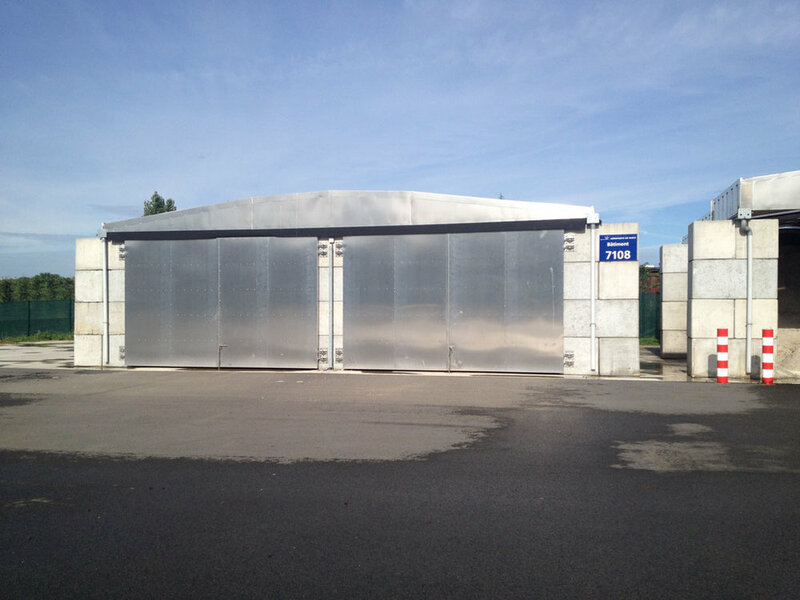 The sliding roofs can be mounted onto insitu cast concrete walls, storage pits, concrete blocks or be integrated in existing roof structures. Our experienced crew are your guarantee of a fast, proficient installation. The sliding roofs in aluminium have a maximum span of 16 metres. The length of the sliding roofs is unlimited. Eurodome Ltd will provide you with support during implementation. Analysis, dimensions, engineering, assembly and after-sales service. You can rely 100% on our expertise. Sliding Roofs are also used in other applications, such as biomass and recycling.